ARCore is Google’s new augmented reality platform. Project Tango was deprecated in December, and ARCore intends to carry forward where Tango had left off. The difference between the two platforms was that Tango required dedicated hardware, while ARCore doesn’t require any additional hardware for augmented reality. ARCore’s motion tracking uses the camera of a phone to identify points called features, and it tracks how those points move over time. Google states that ARCore determines the position and orientation of the phone as it moves through space thanks to a combination of the movement of these points and readings from the phone’s inertial sensors. Last year, Google launched a preview of ARCore for select devices such as the Samsung Galaxy S8 and Galaxy S8+, Galaxy Note 8, Google Pixel and Pixel XL, Google Pixel 2 and Pixel 2 XL. ARCore 1.0 was launched last month, and it is now supported on more devices such as the OnePlus 5, Galaxy S7/S7 Edge, ASUS ZenFone AR, and the LG V30/V30+ (on Oreo). With ARCore 1.0, developers can now publish AR apps on the Play Store. The company has also stated that it’s partnering with other device makers to enable ARCore in new and upcoming phones in 2018. The list of partners included companies like Samsung, Huawei, LG, Motorola, ASUS, Xiaomi, HMD Global/Nokia, ZTE, Vivo, and Sony. This is good news for adoption of the ARCore platform, which looks certain to see higher adoption levels compared to its predecessor. With ARCore, developers can create a wide range of augmented reality apps ranging from gaming to shopping. For example, Google is promoting apps that allow users to place virtual furniture in real-world surroundings. The barrier to ARCore adoption is the fact that it’s currently enabled on only a few devices, but this is set to change this year. 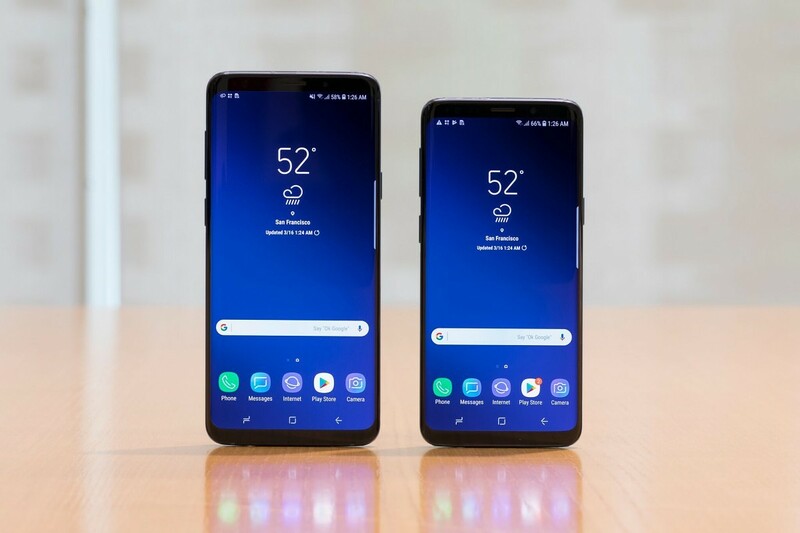 ARCore support on the Galaxy S9 and the S9+ (which are likely to be the most popular Android phones of 2018) is only a plus point for the platform.